Are you also facing a problem of Unable to connect NVIDIA error? If yes then this article is for you my friends because in this article we are discussing the topic NVidia GeForce experience unable to connect. So be ready and keep reading. Most people are encountering the problem of “unable to connect to NVidia try again later” when they are updating their Windows OS. It is a major issue faced by gamers while they update or replace an old video card with a new and the message shows GeForce experience cannot connect to NVidia. But this problem can be solved with few simple steps. So take a look at few easy solutions. Don’t miss to check Windows 10 start button not working. There is a glitch with a current version of GeForce Experience and be fixed in next version etc. itself. If your current version GeForce Experience is older than 2.5.x.x, then the first upgrade to latest one. You can download it from the NVidia support website and run to install it. Also, make sure that you are using the latest version of GeForce Experience. After installing the latest version check for the problem, if it persists, go to the next solution. The cause of can’t connect to NVidia problem could be that the NVIDIA Network Service stuck in Starting status. It would trigger issues in connectivity in a network and makes it difficult for you to download anything via GeForce Experience. Press the Windows key and R together from the keyboard so that run command will open. 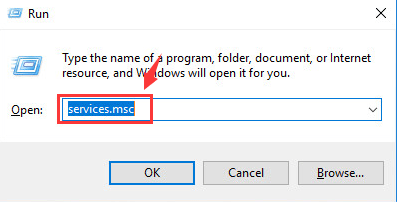 In the search window of run type services.msc and press Enter. Next, press the N key on your keyboard and locate NVIDIA Network Service faster. Note that the status of this service is starting. Next Go to C:\ProgramData\NVIDIA Corporation\NetService\. Inside this, you will find NSManagedTasks.XML file. Delete it and before deleting it make sure it should be an XML Document type file. Note: If you cannot locate this file listed here, then find it in the hidden folders. 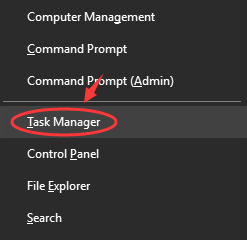 Press the Windows key and X key together from the keyboard and select Task Manager. 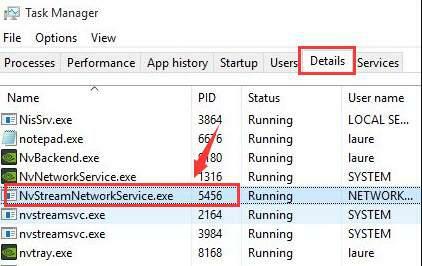 Now, click on the Details tab and select NVNetworkService.exe. And click on the End Task. Next, go back to Services windows, right-click on the NVIDIA Network Service and start/enable it. Now check for Your GeForce Experience that is working correctly or not. If the above two method does not work for you, then update NVidia graphics card. You can update it manually or automatically. 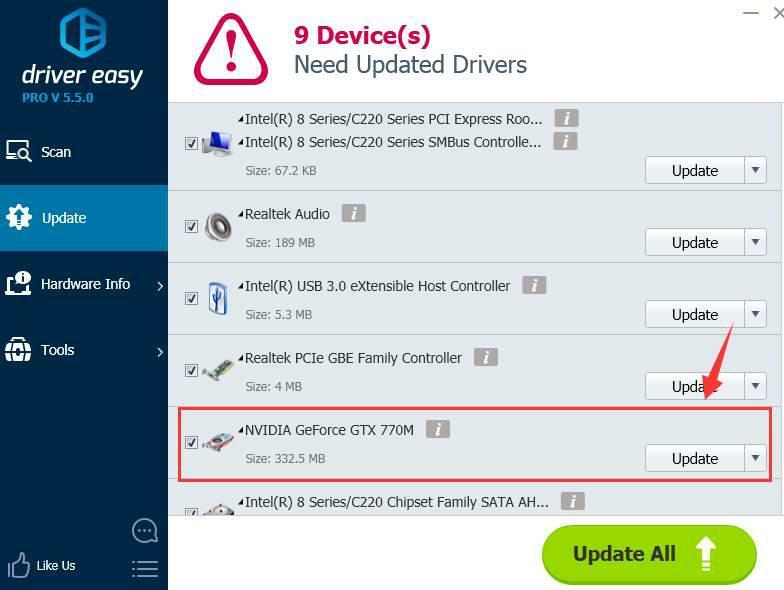 You can update your NVIDIA graphics card driver manually using the Windows Updates or Device Manager or search for it by yourself on NVIDIA support web pages. If you don’t have enough time or patience then you can update it automatically with software like Driver Easy. It will help you to download and install the correct driver. Run Driver Easy app and click on the Scan Now button. 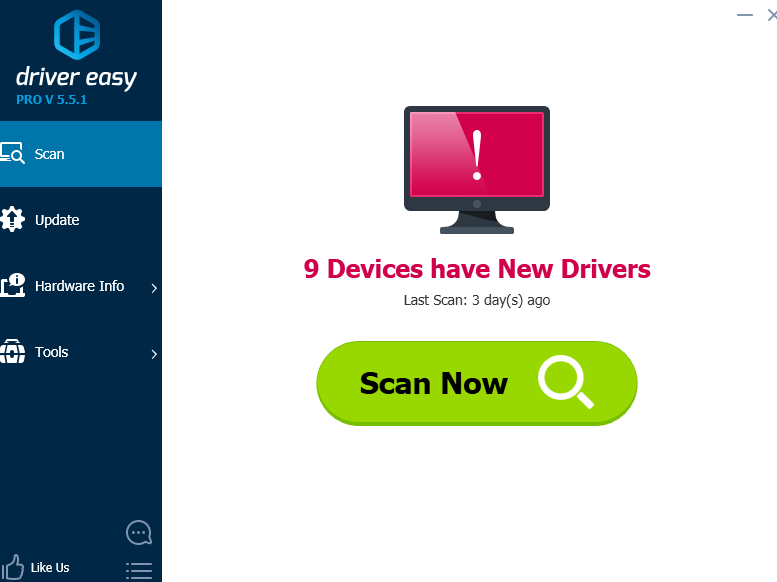 It will scan your pc and detect any problem in drivers. 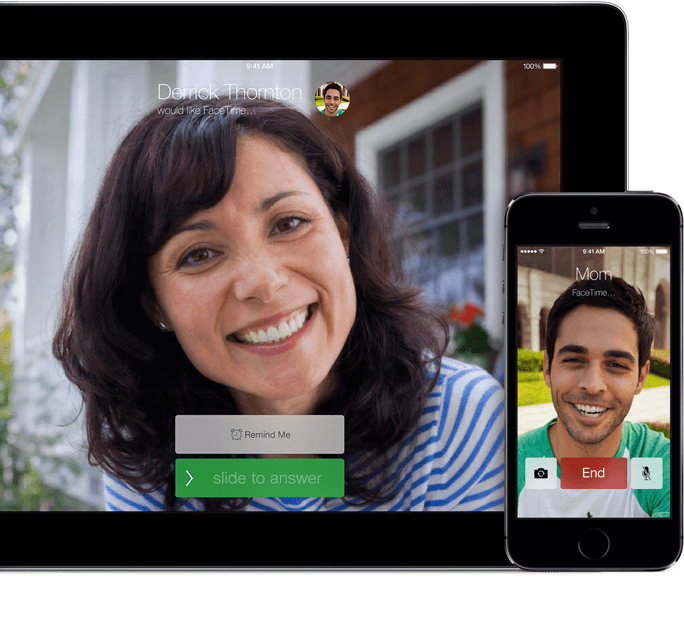 As per the name, it is one of the advanced solutions which involved the changing of the hosts’ IP address. This method requires a certain level of expertise and should not try by beginners. First, go to C:\Windows\System32\drivers\etc. next open the host in the Notepad programme. In the notepad make a backup copy of the available text before changing it. Change the “0.0.0.0” to “127.0.0.1” or remove “x.x.x.x” localhost. If you can not edit it on the spot, then you can copy and paste it in some other place, rewrite it and then paste it back. Open and try updating GeForce again and it should surely work. It is all about GeForce unable to connect to NVidia problem fixes. All the above solution tried by us at the time of this error, and all are safe. So freely try any of them. If you have any problems or doubts related to NVidia unable to connect error, then you can use the comment box to ask it. And if you find it useful then like it and share it. Thank you for reading!